In this groundbreaking work, Richard L. Velkley examines the complex philosophical relationship between Martin Heidegger and Leo Strauss. Velkley argues that both thinkers provide searching analyses of the philosophical tradition’s origins in radical questioning. For Heidegger and Strauss, the recovery of the original premises of philosophy cannot be separated from rethinking the very possibility of genuine philosophizing. Common views of the influence of Heidegger’s thought on Strauss suggest that, after being inspired early on by Heidegger’s dismantling of the philosophical tradition, Strauss took a wholly separate path, spurning modernity and pursuing instead a renewal of Socratic political philosophy. 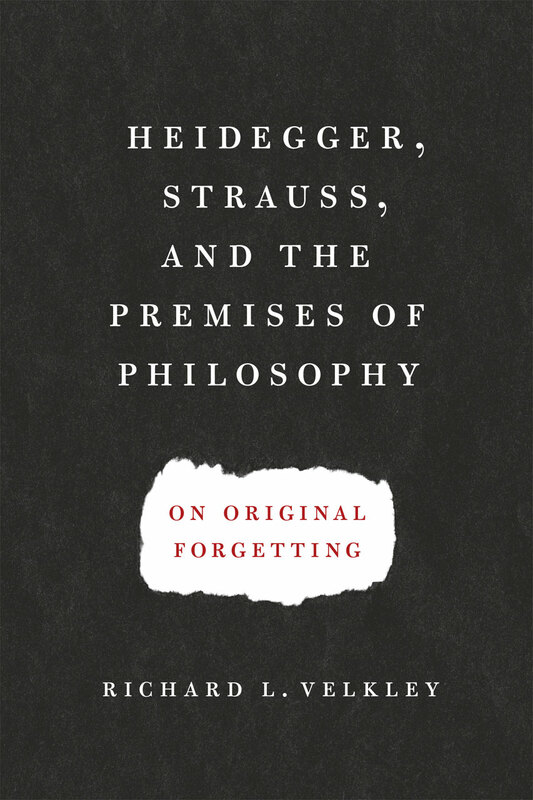 Velkley rejects this reading and maintains that Strauss’s engagement with the challenges posed by Heidegger—as well as by modern philosophy in general—formed a crucial and enduring framework for his lifelong philosophical project. More than an intellectual biography or a mere charting of influence, Heidegger, Strauss, and the Premises of Philosophy is a profound consideration of these two philosophers’ reflections on the roots, meaning, and fate of Western rationalism.